Dit hebben wij gevonden bij het woord "Focus"
Do you want lightness in your riding? 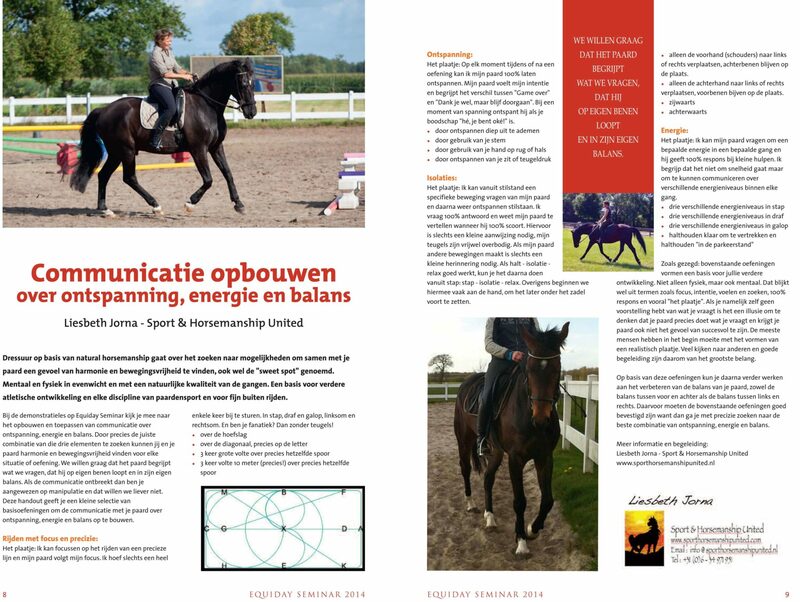 Do you think that the further you develop in dressage or horsemanship, the lighter your aids and the more subtle your communication should become? The lightest and most natural aid for your horse is your Intention. To develop lightness and softness you can start with “radiating” your intention first, before you put on any physical aids or tools. 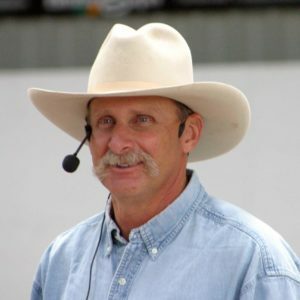 Intention starts with having a clear mental picture of what you want your horse to do. Then you can transform that picture into Energy being sent in a specific Direction, to make it happen. This Energy comes from your core and from your heart and should be based on that clear picture of the movement you would like your horse to make. The Direction is where you want your horse to go. It comes with Focus and the Position of your body. Energy is not the same as movement. You can radiate very high energy almost without moving, by example when sending your horse backwards away from you. A sharp eye and/or a lifting of your chest may already be enough. 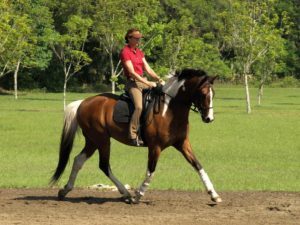 The opposite - radiating total softness while moving a lot - is a very helpful skill when training unconfident or sensitive horses. Energy can also go in both directions: you can send it away from you or draw it towards you. 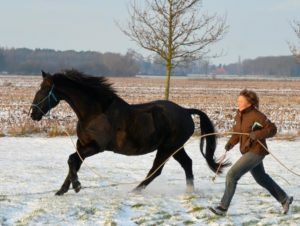 How we can use our energy to send a horse forward or away is very common, but you can even invite your horse to run to you by energetically drawing your horse towards you. Remember that horses by nature read your intention in very much detail! As prey animals and herd animals their lives depend on this. Sometimes just a slight turning of your body or a minimal shift in your focus or even in your mind can make all the difference for your horse. I notice that a picture or thought that comes to mind, and which translates into an intention, often gives enough clarity without him feeling forced. On the other hand … they read the lack of intention just as well! No intention means: no relevant information. In that case most horses choose to do what makes them feel the most comfortable. This is good to know, because his intentions may sometimes not be exactly your idea ;o) but also notice how you can offer your horse moments of relaxation this way. If you want to use the power of intention but it does not come naturally (yet) the first step is to become aware that you have the choice to switch in on and off. I remember I went shopping with my daughter Mandy on a busy Saturday afternoon. She must have been around 10 or 11 years old then, quite thin and not very tall. There were lots of people in the shopping street and Mandy complained to me about people bumping into her all the time. We knew there was a bakery at the end of the street, a few hundred meters ahead of us. So I said to her: “Remember the bakery over there on the corner (where they sell that super icecream …)? Just point your eyes ever there as if you can already see it clearly and send your feet over there in a straight line as if nobody else was in the street. Don’t look at the people, look at the bakery.” She did exactly that: she pictured the bakery and where it was, she focused and stepped forward energetically but relaxed. We got to the ice cream without anyone bumping into her anymore! 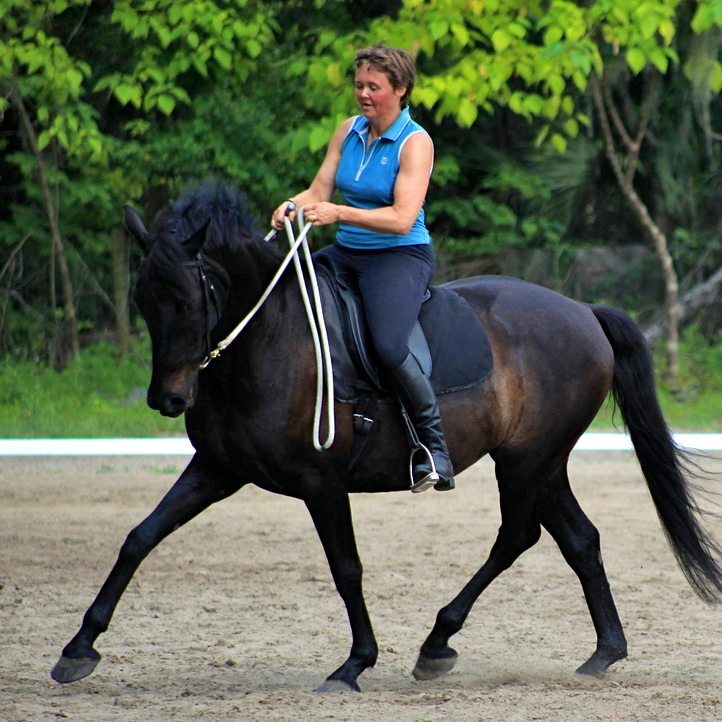 A simple example when riding: From a halt at A I want my horse go to C in an active trot. I picture the trot; how it feels, the tempo, the line of travel and how we arrive at C. You could say: “I picture the speed, direction and destination”. Then I use my intention first to find the active trot (using my other aids if intention only was not enough) and I send that energy in the direction of C by focussing on C and turning my body towards C too. So … using your intention first - before using physical actions and aids - can save you from pushing and pulling and using your tools a lot. You CAN switch it on and off on purpose and the more you use it the more your horse will respond to it. He’ll start to notice when you have a clear intention and he’ll start to understand that everything you do with intention is meaningful. 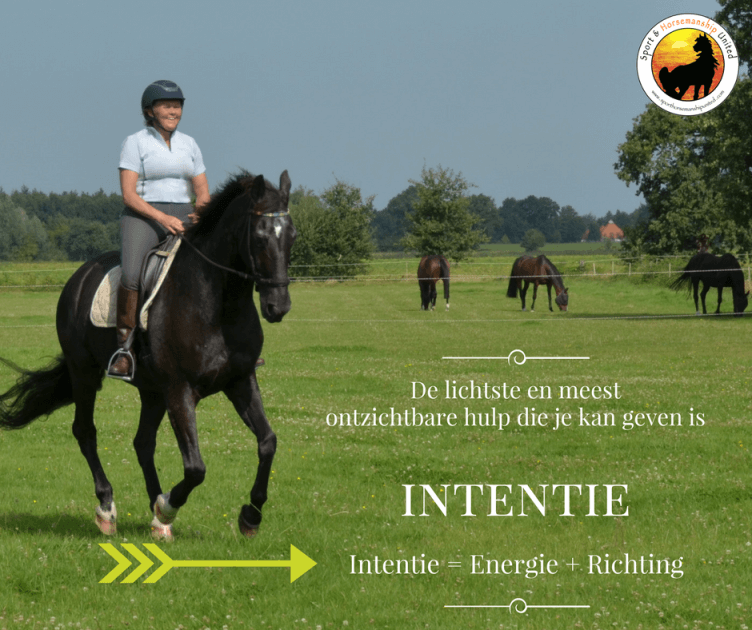 I hope your intention helps you and your horse find the lightness you dream of!